For thousands of years, oil massage has been used in health practices and religious customs around the world. Anoint Yourself with Oil unites this tradition with the science of dermal absorption and the nutritive value of unrefined oil. The resulting treatment, Hygienic Oil Therapy, will lead you to a more radiant appearance, enhanced physical condition, and improved mental health. The key to Hygienic Oil Therapy is a daily massage with a high-quality nutritional oil. After being absorbed through your skin, the oil’s nutrients nourish your skin, hair, nerves, brain, heart, joints, and endocrine system. Hygienic Oil Therapy is also a valuable adjunct to fasting and detoxification programs. So throw away your chemical-laden creams, lotions, powders, and gels, and begin to nourish your skin and body the natural way--with nutritional oil. David Richard is an author, publisher, and third-generation natural foods advocate with more than twenty-five yearsexperience in the holistic health field. An environmentalist and health activist, his work experience includes extensive studies in health and nutrition. Hygeia: in Greek Mythology, the goddess of health, daughter of Aesculapius [God of Medicine]. Every year, millions of dollars in advertising are spent to convince you to moisturize and nourish your skin with a variety of cosmetic crèmes, moisturizers, and gels or to dry the naturally-occurring oils in your skin with a variety of powders, soaps, and sprays. Nearly all of these products are overpriced, ineffective and laden with synthetically-derived chemicals. Even the majority of so-called “natural” alternatives have a variety of synthetic additives or natural substances which have been chemically modified to create a more “appealing” finished product. In addition, much of the advertising tries to convince you that oils, including your own body’s sebaceous oils, are harmful because they block your pores or contribute to a “greasy” appearance. Nothing, of course, could be further from the truth. The truth is that your skin and much of the rest of your body has two primary needs in addition to protein to remain in good health: water and oil. Without these two substances, the skin becomes withered and dried, and the underlying metabolism is similarly affected. Oil Therapy, hereafter called Hygienic Oil Therapy, is an ancient hygienic and therapeutic practice which has been used by cultures around the world for millennia in the pursuit of health and beauty. Modern science confirms that the nutrients present in unrefined oils are absorbed into and through skin and provide nourishment to a variety of organ and glandular systems. Foremost among these nutrients are the essential fatty acids (EFAs) which are considered essential because they cannot be manufactured in the human body. High quality vegetable oils, such as olive, flax, hemp, sesame, and almond, contain one or both of the EPAs in the Omega-6 or Omega-3 families. They also include the natural antioxidants, Vitamins A and E, and a number of other important nutrients. The health benefits of Hygienic Oil Therapy, also known as anointment in its historical and religious contexts, are significant and varied. It provides primary nourishment for the skin and helps to heal and cleanse it. It also helps to soothe and relax the nerves, nourish the heart and brain, and lubricate the joints in addition to providing nutrients essential to the creation and functioning of hormones within the endocrine system. EFAs have also been shown to reduce blood pressure, lower cholesterol and triglyceride levels, and reduce the growth rate of tumors in breast cancer. This book describes one method of ingesting EFAs and other important nutrients into the body at the same time the skin is being nourished and cleansed. I have called this method Hygienic Oil Therapy since I know of no more descriptive name which is faithful to all of the traditions from which it is derived. Its essence is simple: A daily self-massage is used to cover the body with a thin film of nutritive oil which is gradually absorbed into the skin. Hygienic oil therapy is relaxing, self-nourishing and healthful. And it costs less than thirty-five cents a day to accrue its benefits. 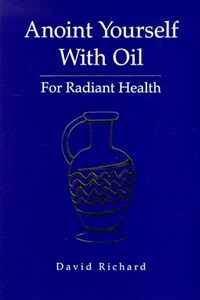 The rest of this book will describe the traditions from which Hygienic Oil Therapy is derived, the science of subcutaneous or transdermal absorption, essential fatty acid metabolism and other nutritive properties of oils, types and grades of oil from which you can choose, the daily practice of Hygienic Oil Therapy through self-massage, adding herbs and Aromatherapy to your routine according to your own instinct or the Aryuvedic tradition of doshas (body types), and how this practice can help you to fast more effectively and with less stress. There is also a question-and-answer section to help you with common concerns in getting started. My hope is that you will add this healthy habit to your daily routine and it will benefit you as much as it has benefitted me.